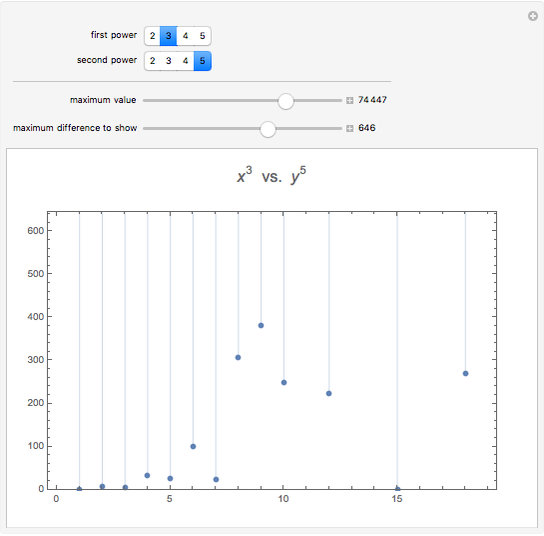 Explore whether there are integers for which is very close to , for different , and , . 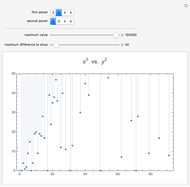 This question relates to current unsolved problems in number theory. 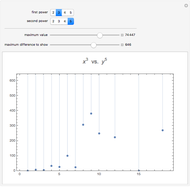 Each successive point is a difference ; the and used are given in the tooltip. 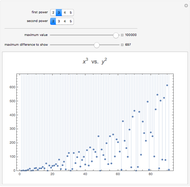 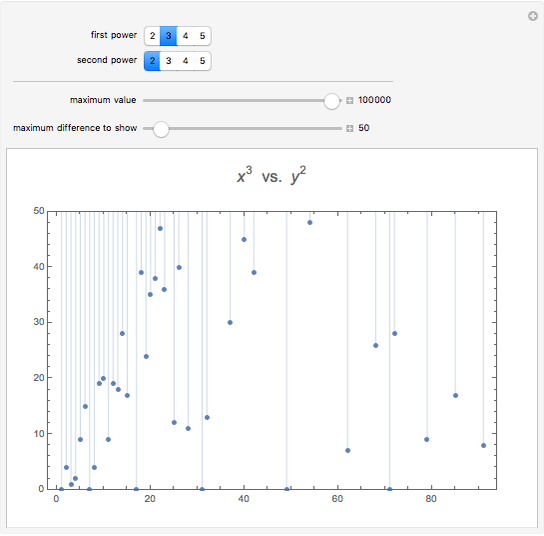 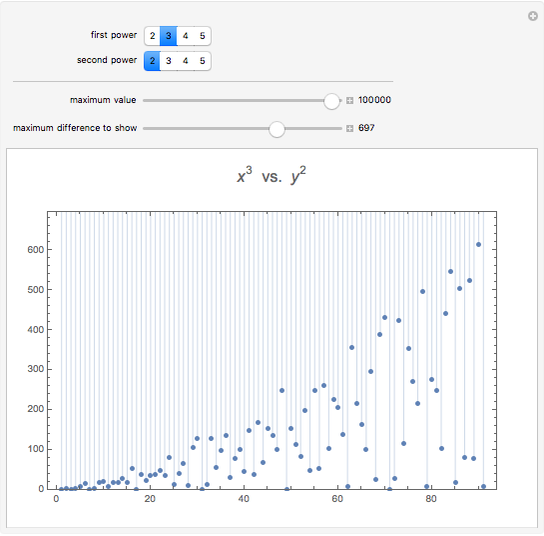 Stephen Wolfram "Coincidences in Powers of Integers"